The General Assembly today adopted resolution A/RES/69/313 endorsing the Addis Ababa Action Agenda of the Third International Conference on Financing for Development, a “new global framework” that many said would strengthen cooperation in technology, infrastructure and social protections that were key to realizing inclusive sustainable development. With the Assembly’s endorsement, Secretary-General Ban Ki-moon said “we launch a new era of cooperation and global partnership”. The Action Agenda would provide the foundation for success at the Summit to Adopt the Post-2015 Development Agenda, in New York in September, and at the Conference of Parties of the United Nations Framework Convention on Climate Change (UNFCCC), in Paris in December. Further, he said, the text offered incentives for investment in areas of global need. It also aligned financing flows and policies with economic, social and environmental priorities and provided a guide for actions by all stakeholders, and included a strong accountability mechanism. Other initiatives had been launched as well, notably the Addis Tax Initiative, increased commitments from development banks and a new financing partnership for women’s and children’s health. “Only by staying engaged will we ensure that the commitments we endorse today will lead to tangible progress on the ground, in all countries and for all people”, he said. The world was now on a path to a more prosperous, just and sustainable future. Along similar lines, Assembly President Sam Kutesa said the Action Agenda was a comprehensive financing framework that contained concrete deliverables, policies and actions that would support implementation of the post-2015 agenda. Its endorsement today showed the collective commitment towards eradicating poverty, achieving sustainable development and building a better future for all. Through the text, countries agreed that domestic resource mobilization was central to the agenda, notably through measures that widened the revenue base, improved tax collection and combatted both tax evasion and illicit financial flows. At the same time, they reaffirmed their commitment to official development assistance (ODA), particularly for least developed countries, pledging to increase South-South cooperation. Other commitments were made in matters crucial for sustainable development. In the area of technology, for example, countries agreed to establish a Technology Facilitation Mechanism to enhance collaboration among Governments, civil society, the private sector and others. A new Global Infrastructure Forum would identify and address infrastructure gaps and highlight opportunities for investment. Through a new “social compact”, Governments agreed to provide social protection systems for all, including social protection floors. In the area of assistance, developed countries, through the text, committed to reversing declines in aid to the poorest countries, with the European Union committing to increase aid to least developed countries to 0.2 per cent of gross national income (GNI) by 2030. In the widely debated area of taxation, the agenda called for strengthening support to the United Nations Committee of Experts on International Cooperation in Tax Matters to improve its effectiveness. Following the adoption, many delegations welcomed the accord, with some explaining their reservations to parts of the text, especially on the principle of common but differentiated responsibilities, which they said should have been more clearly reaffirmed in the context of a global partnership for development. A few speakers noted that the financing for development process was separate from that of the post-2015 agenda, and as such, the integrity of both processes must be maintained. In that context, some argued, the Action Agenda must not be a substitute or replacement for the means of implementation, but rather should support them. “We call for this global partnership for development to be revitalized and re-invigorated,” said the representative of South Africa on behalf of the “Group of 77” developing countries and China, “particularly as we advance towards the adoption of the post-2015 development agenda”. Other areas to address were the need for development partners to meet their commitments and scale up ODA. The Agenda also should have considered the diverse needs of middle-income countries and the need to fully upgrade the Tax Committee into an intergovernmental body. Going forward, said Saint Lucia’s representative on behalf of the Caribbean Community (CARICOM), full consideration must be given to the unique needs of small island developing States, which stemmed from trade liberalization, global environmental degradation and global security issues. She also urged a focus on the unsustainable debt that was hindering many countries’ path towards sustainable development. Also today, the Assembly paid tribute to Roble Olhaye of Djibouti, the longest-serving Permanent Representative of the United Nations, whose passing last week deeply saddened the United Nations community. In his 27 years of service, Mr. Olhaye had built an enduring legacy in New York and Washington, D.C., where he had served as ambassador of his country to the United States. Secretary-General Ban Ki-moon remembered him as a “passionate champion of Africa”, who was admired for his energy, dedication and sincerity. Several delegations praised Mr. Olhaye’s “outstanding” diplomatic career, marked by his vibrant intellect and dedication to United Nations ideals. As the “voice of Africa”, he articulately expressed the continent’s aspirations, several said. Also expressing their condolences were the representatives of South Africa (speaking for the African States), Bangladesh (speaking for the Asia-Pacific States), Romania (speaking for the Eastern European States), Paraguay (speaking for Latin American and Caribbean States), Spain (speaking for Western European and Other States), and the United States. Speaking in explanation of position after action was the representative of Venezuela. Also making general statements after action were the representatives of Maldives (on behalf of the Alliance of Small Island States), Japan, Brazil, New Zealand, Colombia, Russian Federation, United States, Ecuador, Nicaragua, Canada and Turkey, as well as the representative of the European Union Delegation. CRISTIANE ENGELBRECHT SCHADTLER (Venezuela), aligning with the statement to be made by the “Group of 77” developing countries and China, expressed several reservations on the Addis Ababa Action Agenda, which she felt did not fully reflect the diversity of opinions on the matter of sustainable development. Achieving sustainable development must go hand-in-hand with training and capacity-building, which would reduce inequality within and between countries. The reduction of subsidies to fossil fuels was interventionist, she said, adding that her country would not accept any review or monitoring of its national policies in that respect. Venezuela rejected references to “low-carbon economies”, or carbon price fixing, for the same reasons. Modern energy involved the use of new technologies, she said. Her delegation deplored the fact that paragraph 14 of the Action Agenda had deleted an offer of financing through the establishment of new development banks to complement existing international institutions. She also expressed a reservation over “coercive measures” that influenced the sovereignty and self-determination of peoples. In addition, Venezuela was not a party to 1982 United Nations Convention on the Law of the Sea, she said, noting that its joining of the consensus on the Action Agenda should not be interpreted as a change in that position. JEREMIAH NYAMANE KINGSLEY MAMABOLO (South Africa), speaking on behalf of the “Group of 77”, said the Addis Ababa Action Agenda was complementary to and supplemented the Means of Implementation for the Post-2015 Development Agenda. 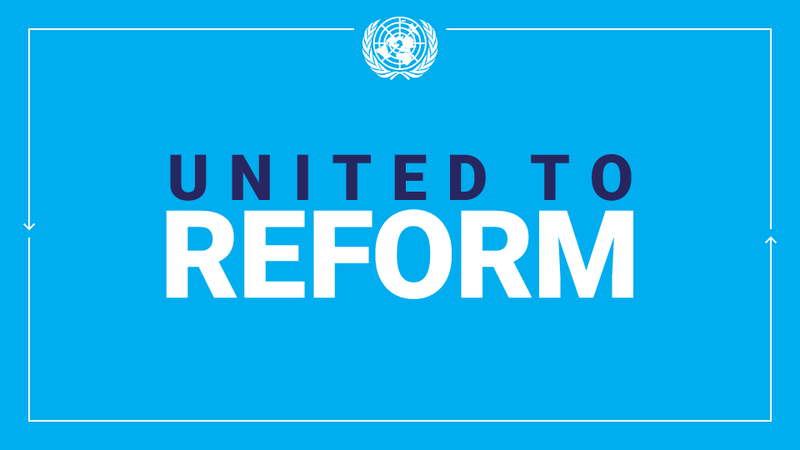 As recognized in paragraph 19 of the Action Agenda, the post-2015 agenda could be met within the framework of a revitalized global partnership supported by concrete policies and actions outlined in the Action Agenda. “We call for this global partnership for development to be revitalized and re-invigorated, particularly as we advance towards the adoption of the post-2015 development agenda,” he said, noting that the world must not lose sight of the unfinished business of the Millennium Development Goals in order to leave no one behind. That global partnership, with North-South cooperation in its centre, should aim at helping to bridge gaps in global economic disparities and equalities and included adequate financing, an area where developed countries should demonstrate leadership and unequivocal commitment complemented by the private sector and South-South cooperation efforts with the North playing a primary role in financing those endeavours, he said. Even as compromises had been reached on some key areas of the Action Agenda, there remained issues of principles the Group fully endorsed that had not been adequately accommodated in the text. Areas that should have been addressed were the re-affirmation of the key principle of common but differentiated responsibilities in the context of a global partnership for development, the need to maintain the integrity of the Third International Conference for Financing for Development and the post-2015 development agenda as separate processes while acknowledging the need for stronger synergies between them, and the need for development partners to meet current commitments and to scale up official development assistance (ODA). The Agenda should also take into account the diverse needs of middle-income countries, the need to fully upgrade the Tax Committee into an intergovernmental body and the issues of countries and people living under foreign occupation and of lifting and terminating coercive measures. THOMAS MAYR-HARTING, Head of the European Union Delegation, expressing condolences for the passing of Mr. Olhaye, said the “landmark” Addis outcome provided the means of implementation for the post-2015 agenda. States had agreed to an ambitious vision that addressed the full spectrum of means of implementation. The Agenda’s value was its comprehensiveness, a success that should not be jeopardized by attempts to renegotiate select subjects. The Agenda showed that actions “on all fronts” would be necessary to fight poverty and exclusion, and to foster sustainable development. It paved the way towards a universal framework and set of goals. For its part, he said, the European Union would focus on countries most in need and Africa. It was the most open market in the world for developing countries and a pioneer in the use of innovative financing mechanisms. The outcome document symbolized Africa’s contribution to multilateralism. The nature and magnitude of global challenges had changed, he said, and the post-2015 agenda must respond to those evolving dynamics. While there was still “some way to go”, the Addis accord had “brought us a lot closer.” As for programme budget implications in connection with recommendations in the resolution, he understood that detailed estimates would be provided, in line with established rules. Stressing the need for increased transparency, he said that any oral statements on programme budget implications should be provided in advance. MENISSA RAMBALLY (Saint Lucia), speaking on behalf of the Caribbean Community (CARICOM) and aligning with both the “Group of 77” and the Alliance of Small Island States (AOSIS), expressed condolences on the passing of Mr. Olhaye. Turning to the Addis Agenda, she said negotiations had been “intense and protracted” and the outcome provided the basis for forging an enhanced global partnership, with a detailed financial plan that addressed social inequality, climate change, technology, data and capacity-building. As outlined in its paragraph 19, the post-2015 agenda could be met in the framework of a revitalized global partnership for sustainable development. Going forward, she reaffirmed that full consideration must be given to the peculiar development needs of small island developing States, as outlined in the Samoa Pathway, which stemmed from trade liberalization, global environmental degradation and global security issues. She called on international financial institutions to implement risk management instruments addressing vulnerabilities, such as climate risks that disrupted the development in Caribbean small island developing States. She also urged a focus on the unsustainable debt that had resulted in limited fiscal space that hindered her region’s path to sustainable development. AHMED SAREER (Maldives), speaking on behalf of the Alliance of Small Island States, expressed condolences on the passing of Mr. Olhaye, and to the people and Government of India on the passing of the country’s former President. He hailed the Action Agenda for its recognition that development was holistic and that solutions for national development were possible only through increased will, enhanced partnerships and committed action. Stressing that his delegation had been actively engaged in negotiations, he said that while there was “much language” that could be strengthened, it was time to focus on implementation and that the Alliance was committed to the realization of the Addis Ababa Action Agenda. HIROSHI MINAMI (Japan) welcomed the adoption of the Action Agenda by the General Assembly. His country was beginning to implement it earnestly and expected others to do the same. The post-2015 agenda would be supported by the concrete policies and actions as outlined in the Action Agenda, he said, calling on countries to honour the agreements reached in Addis and to avoid renegotiating them in other tracks. He emphasized the importance of ensuring a transparent process with regards to budgetary issues associated with the Action Agenda and that those issues should be given due attention in line with the relevant rules of the Assembly. ANTONIO DE AGUIAR PATRIOTA (Brazil), aligning himself with the “Group of 77”, also welcomed the Agenda’s adoption, saying that the outcome constituted an important first step on the road to the implementation of the post-2015 agenda. Financing for development was a valuable independent process with a scope and challenge of its own. As such, the Addis outcome supported Goal 17 and other elements of the sustainable development goals and targets. The dedicated process of review of the Financing for Development Conference outcome was another important element to emerge from the conference, he said, noting that the financing for technology mechanism was an example of constructive North-South dialogue and adding that paragraph 123 of the Action Agenda would be inserted into the post-2015 agenda. Brazil supported the promotion of greater ambition in mobilizing financing for sustainable development. Finally, he expressed regret over the lack of agreement on upgrading the Tax Committee to an intergovernmental body, as proposed by the “Group of 77”. METTE MIKKELSEN (New Zealand) said the Addis Agenda created a framework to harness the range of methods for mobilizing resources for development. It represented a strong global commitment to development, “but our work is only beginning”. Now was time to set aside differences, she stressed, pointing to the case of the Doha trade round as an example. In closing, she said her delegation would ensure that its policies delivered results to developing countries within the new framework. MARÍA EMMA MEJÍA VÉLEZ (Colombia), associating herself with the “Group of 77”, expressed condolences on the passing of Mr. Olhaye. She welcomed the action plan, which would support the implementation of the post-2015 agenda. Indeed, it complemented all other means of implementation for the post-2015 agenda. Its complementary nature was important, she said, noting that while the outcome contained important elements, it neither had included nor exhausted all mechanisms needed for the implementation of the new agenda. In that regard, she cited various elements in the outcome: the mandate to establish a global infrastructure forum and a technology facilitation mechanism; the creation of an Economic and Social Council forum to follow up the financing for development process; the call on the United Nations development system to respond to middle-income country challenges; its recognition of the needs of countries in conflict and post-conflict situations; and the development of transparent sustainable development measurements that were more comprehensive than per capita income. In that context, she urged respect for the integrity of both the post-2015 agenda and the financing for development action agenda, stressing that those were two different processes in terms of scope and purpose. She urged continued work to create a transformative framework that addressed the persistent economic technological and social challenges. DILYARA S. RAVILOVA-BOROVIK (Russian Federation) expressed condolences over the passing of Mr. Olhaye, saying that the post-2015 agenda must have the necessary resources in order to be implemented. Her delegation had contributed to the outcome document of the Third International Conference on Financing for Development and supported its approval by the General Assembly. Indeed, the Action Agenda was an important step to improve resource mobilization for the sustainable development goals. Its implementation would bolster the catalytic role of official development assistance, stimulate both private and public domestic financing sources and provide an impetus to development financing. Calling the action agenda “robust and far-reaching”, she said it merited being part of the post-2015 development agenda and the Russian Federation was prepared to discuss its implementation. RICHARD ERDMAN (United States) said in reaching the Addis Ababa Action Agenda, States had come together to eradicate poverty, promote inclusive growth and provide the means of implementation to implement the post-2015 development agenda. SERGIO SHCHERBAKOV (Ecuador), aligning with the “Group of 77”, said the State, because of its intrinsic responsibilities, should plan, manage and control pro-development dynamics. Reiterating his country’s concerns about paragraphs 31 and 113 as well as other reservations put in writing in Ethiopia, he expressed concern over the recording of those reservations at the closing of the Addis conference. A reservation was clearly different from an explanation of national position. He therefore expressed concern at the quality of United Nations interpretation on sensitive topics. MARÍA RUBIALES DE CHAMORRO (Nicaragua), also aligning with the “Group of 77”, said her country had been extremely flexible during the Addis negotiations. Nevertheless, she reaffirmed the importance of common but differentiated responsibility in the context of a global alliance for development, which should be a basis for all cooperation for sustainable development. That principle must also be a central part of the post-2015 agenda, which should be a separate process from that of financing for development. Many countries had requested increases in ODA to achieve the post-2015 development agenda. She clarified that climate financing was additional and supplementary to ODA. There was no “one size fits all” solution to development. Finally, she expressed support for peoples under foreign occupation, such as the Palestinian people, and stressed that coercive unilateral measures that violated international law must be rejected. ERICH CRIPTON (Canada) said the Addis Agenda would provide the means to implement the post-2015 development agenda and had the potential to transform the lives of billions of people. However, he drew attention to his delegation’s explanation of position, especially on paragraphs 64 and 117. CEREN HANDE ÖZGÜR (Turkey) said that Addis had set an important precedent for the Sustainable Development Summit to be held in September and the United Nations Framework Convention on Climate Change (UNFCCC) Conference of Parties to be held in December. Turkey was pleased that the Action Agenda had captured the different dimensions of the development agenda. However, the reference to the 1982 United Nations Convention on the Law of the Sea, to which Turkey was not a party, could not be construed as a change in his country’s position. TEKEDA ALEMU (Ethiopia), expressing condolences for the passing of Mr. Olhaye, said it was an honour for his country to have hosted the Third International Conference on Financing for Development. He thanked all those involved in making the conference a success. While it had appeared to be an impossible task, the spirit of a win-win approach had prevailed. “This must be brought to bear on intergovernmental negotiations for the post-2015 agenda,” he said. Indeed, the tone has been set in Addis and he was confident it would be brought to efforts to formulate the new development framework.